RadioSure gives you the smoothest radio listening expirience. The main rule is it should be simple, reliable and should just work. But no way to change the Hot Keys. Radio Shure is goiing to install in....\....\Local Settings\Application Data\RadioSure???? ?Better create a folder in C\Program Files\Radio Shure and browse to there before installing!!! It doesnt work with Genre directories, just listing 12000+ stations??wtf.. This app is prehistoric and garbage!! Screamer Radio : I love you even more now!! 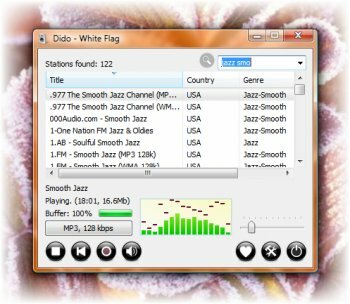 If you want to listen to radio on Windows, this is the program to get, HANDS DOWN. Replaced Screamer Radio in about 5 Minutes for me. Very pleasant and responsive UI. Simple and smart. 1. RadioSure was never indented to be a complete Mediaplayer. You compare apples with bananas. 2. 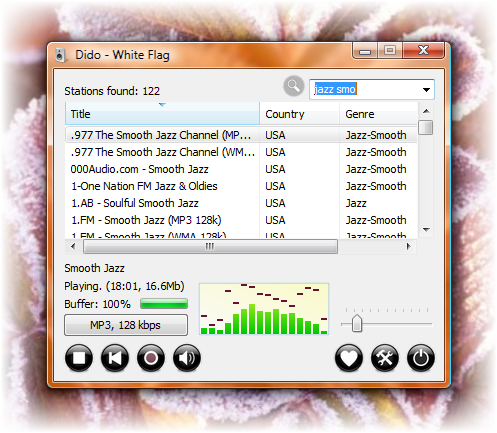 RadioSure is as it is a great and free Webradio-Player with a fine default skin. Period. Therefore its ok for me if there are some sales efforts to get some cash out of this. Not a bad program. Subtracting one star because Spider Player is better, subtracting another because you have to PAY for some of the skins! WTF?! Fast, simple, and even a portable version. A great way to listen to the radio of the world. This uses un4seen's web protocols I believe. Does work through proxy, such as vidalia but it does need a direct connect option. I stopped using screamer simply because it was mostly impossible to correct, update, or do anything with it's 'presets'. This?, just type the call sign letters in and let 'er rip. The latest dev has a few skins (bluedot) and is totally portable. It's excellent. the search function is very good. Yes, some stations don't work, but that's to be expected. The choice of stations is vast. For example, I punched in "talk English" and and came up with 1092 station entries, including international stations. Well done. To me it's much better than Screamer and far better than iTunes radio that I have been using. Good bye iTunes! Too many unavailable radio stations. List doesn't seem to be updated, whereas that of 'Screamer Radio' is. Big RAM and cpu usage compared again to 'Screamer Radio'. Count me off. Wow! Amazing product - Working great, also MP3 recording rip ability,and skin support, over 12000 radio links added.. now can beat others ;) The truth for Screamer Radio users is: Screamer updated is very slowly,second stable release coming after 2 years from last release, and have same radio database, and have nothing new.. Excellent product - thank you very much to the developer for creating this - its a real gift! !